Hi My name is Anette. 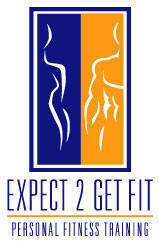 I am a In Home Personal Trainer in St Petersburg the beaches and the local areas. There are many benefits of having a mobile personal trainer and the first one that comes to mind is that you no longer have to waste time to travel. Most personal trainers want you to go to the gym or to their house for their training session but why waste time with driving? I have all the equipment you'll ever need to get started so you will never waste another day wishing to be fit and healthy. You don't have to have expensive equipment either to see results. Your home, your yard, your street, your park provide perfect opportunity for all your cardio, MS&E and flexibility training. If you are still unsure why not book a free consultation now? There is no obligation to sign up for any of our sessions on the other hand, consultation provides you with information and helps you pick out what training method may suit you best. Should you decide to sign up, my training program will start with an assessment session that helps me to get to know your goals, your current state of health and fitness level. Everyone's needs are different therefore I always tailor a program specific for each individual in order to help them to achieve their goals efficiently and effectively. I don't just evaluate fitness but also check for serious health issues such as borderline diabetes, hypertension, nutritional imbalance and change my program plan accordingly. Overall, the general well being of my clients is just as important as their fitness ability. Fitness Instructor Certificate, 1999, YMCA, London, UK.